I just started diving into AppleScript a little more, and figured out a nifty way of finding the pane ID for any of the panes (General, Mouse, Network, etc.) in the System Preferences app. This is extremely useful for creating scripts that need to access any of the System Preferences.app settings. Tested on Mac OS X 10.11.5. 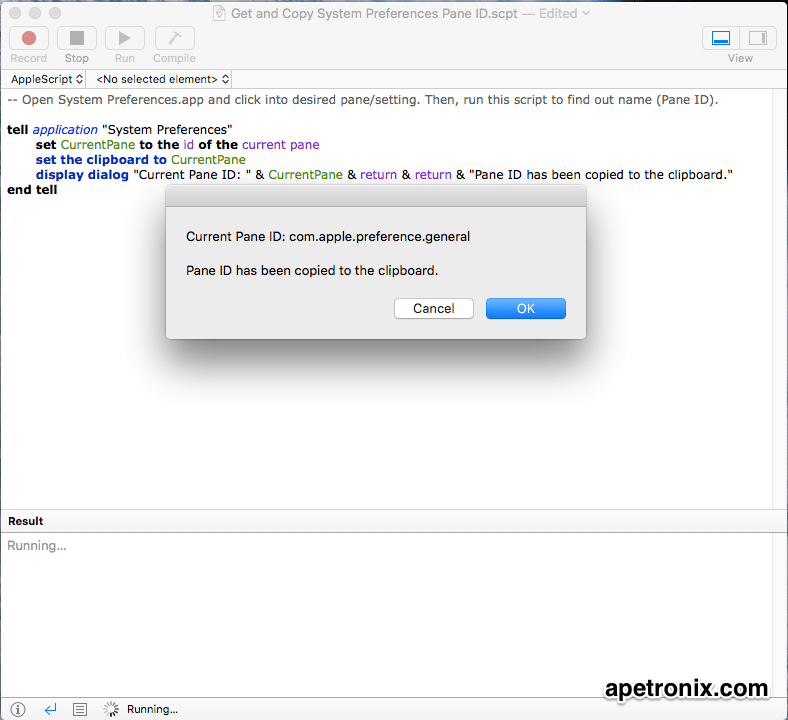 -- Open System Preferences.app and click into desired pane/setting. Then, run this script to find out name (Pane ID). display dialog "Current Pane ID: " & CurrentPane & return & return & "Pane ID has been copied to the clipboard." A dialog box will appear with the Pane ID and it will be copied to your clipboard. Click OK.